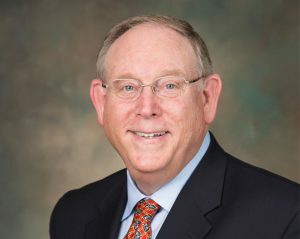 The Board of Directors of the Numismatic Literary Guild (NLG) www.NLGonline.org, a nonprofit organization composed of over 400 writers, editors, authors and content producers, has selected award-winning author, journalist and former CBS broadcaster Donn Pearlman of Las Vegas, Nevada to be its Acting Executive Director. He succeeds legendary journalist Ed Reiter of Nanticoke, Pennsylvania who served as NLG Executive Director from 1990 until his death this past August 24, 2017. Since its founding in 1968, the NLG has promoted numismatic education and recognizes outstanding achievements in numismatic journalism, books, newsletters and auction catalogs. The organization conducts an annual symposium, as well as a dinner and awards ceremony, "The Bash," at the American Numismatic Association (ANA) World’s Fair of Money® convention. "I am honored to be selected by the NLG Board. Ed Reiter was a long-time friend and a respected leader in the numismatic community," said Pearlman who is president of Donn Pearlman & Associates Public Relations in Las Vegas. "I first learned of the NLG in 1977 when I attended my first ANA convention. NLG founding Executive Director Lee Martin invited me to join, and I promptly did. When I returned home, Lee told me that I was named the master of ceremonies of the next year’s Bash. I happily remained MC for about a decade," recalled Pearlman. Membership in the Numismatic Literary Guild is open to authors of numismatic books; publishers and editors of recognized numismatic periodicals or club publications in the numismatic field; staff writers or columnists of such periodicals; writers whose work has been published in such periodicals or club journals; published research numismatists; auction catalogers; curators of recognized numismatic museums; broadcasters and numismatic online content producers, and others deemed worthy by the NLG Membership Committee. A membership application is available online. Congratulations, big trophy case. Big shoes to fill, lots of luck.